What is a short sale? Buying a Short Sale Home means you buy a house for less then the seller's loan or the outstanding mortgage balance. As a result, the seller doesn't have to go though a foreclosure, the buyer picks up a property at a discount, and the lender avoids taking on the burden of unloading the property. In a short sale the seller or the seller's agent makes arrangements with their mortgage lender to accept a price less than the mortgage balance. how the bank wants to manage the loss and their return on investment for their shareholders. Some short sales are pre-approved by the lender, which generally makes buying a short sale home quicker and easier. Pre-approved deals are listed as such in the Multiple Listing Service (MLS) system and can happen fairly quickly as opposed to short sales that have not been pre-approved. Buying a short sale home takes patience and the process differs slightly from buying a regular home. 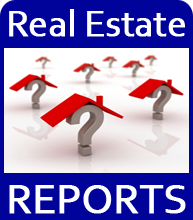 Read more about What is a short sale?